You may heave heard of it, "the strictest costume drama ban in the history of Chinese television." While there were no official announcements made by the Chinese censorship board National Radio and Television Administration (NRTA) or formerly SARFT, the rumors on the internet was that all forms of period dramas will be banned on TV and online from now until June. This covers every genre falling under the umbrella from wuxia, fantasy, historical, time travel to palace politics. So basically that's your Three Lives Three Worlds The Pillow Book, Peace in Palace, Peace in Chang An, The Majesty of Wolf and a long line of shows that many of us are excitedly waiting for. Then again, a rumor in c-ent is simply a rumor until proven. The Legend of White Snake postponed its March 27 premiere allegedly because of the ban, but it has just set a new premiere date on April 3. On the same day, there were new rumors that the rumored ban has been lifted (seriously?). 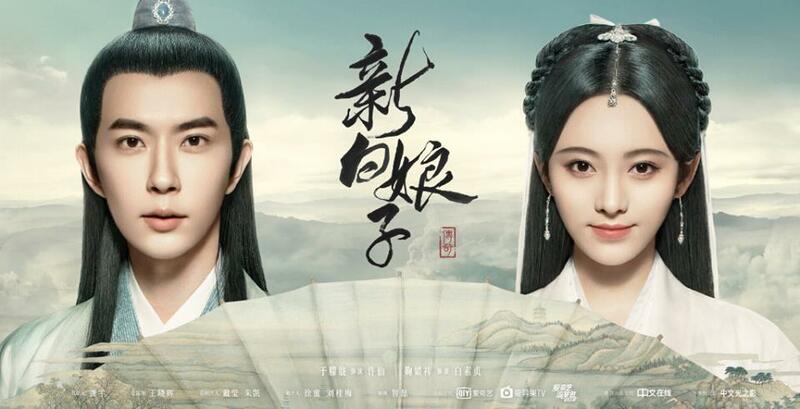 According to reports, the strong public reaction has moved the NRTA to allow period dramas to air provided the three video platforms wrote a letter of guarantee agreeing to certain conditions. The video platforms are required to communicate their planned releases to the NRTA before the 15th of every month. In a year, 60% of dramas aired should be modern dramas with realistic themes. Without approval to air, the video platforms cannot broadcast or distribute material in advance. Considering the number of times I said the word 'rumor', I really can't tell you what to believe. What's clear is we should have more costume dramas to look forward to this April. Let's hope it actually airs. This is not related to the purpose of the article. But that is one very bad poster up there, the guy and gal faces are almost the same and identical! I'd like to know the reason why NRTA decides to ban costume drama? In the past the reason is somewhere along the line of 'promoting bad behaviour'. The blanket ban makes the rumour hard to believe because it makes no sense.